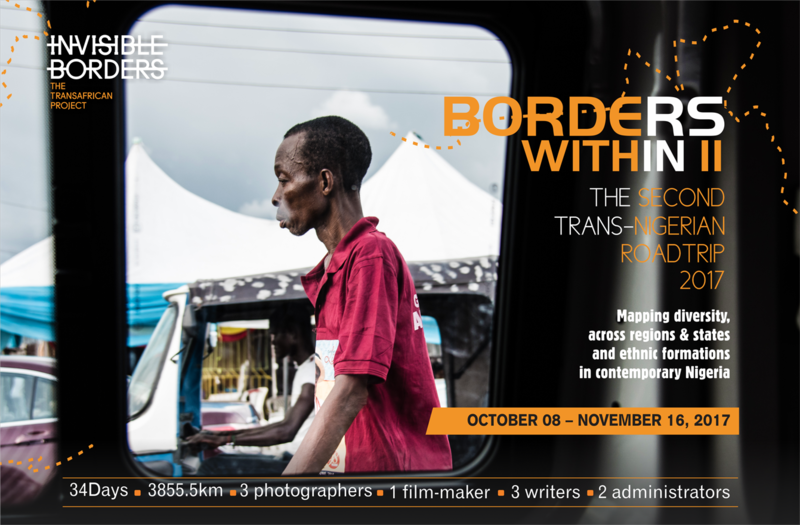 For 46 days in 2016, Invisible Borders traveled across Nigeria photographing and writing on the road. The aim was simple: To map diversity across regions, states and ethnic formations in post-colonial Nigeria. These artists, through images and writing, interrogated both the elusive and apparent borders within the country years after the amalgamation of its Northern and Southern Protectorates. With more than 200 distinct tribes, Nigeria is an entity with multiple histories haunted by British artificial constructs. But now, in a period of intense economic recession, political instability, violence, corruption and an unfettered health crisis, is there a distance between what is shared and what is privately owned? In 2017 Invisible Borders will, again, embark on this remarkable journey. Taking another route across the country, there will be an attempt to complete the important work begun in the previous year. We seek to draw a map that is at once historical and contemporary while elucidating the ambiguities of what it means to be Nigerian. Outcomes and experiences of the project will be shared online, on a daily basis via a dedicated blog/app. See example from our 2014 Road Trip:http://app.invisible-borders.com/. A book publication articulating the two editions of the Borders Within Road Trip (I & II). The book is a going to present the project as a whole, giving readers a holistic view of our travels across Nigeria. Also a feature length documentary film. will be produced. The duration of the project is 34 days starting from October 08, 2016. Exhibition at the Nigerian Railway Corporation Station, Lagos showcasing works produced during the Road Trip (date to be confirmed). Important dignitaries both in the art and civil society world will be in attendance.